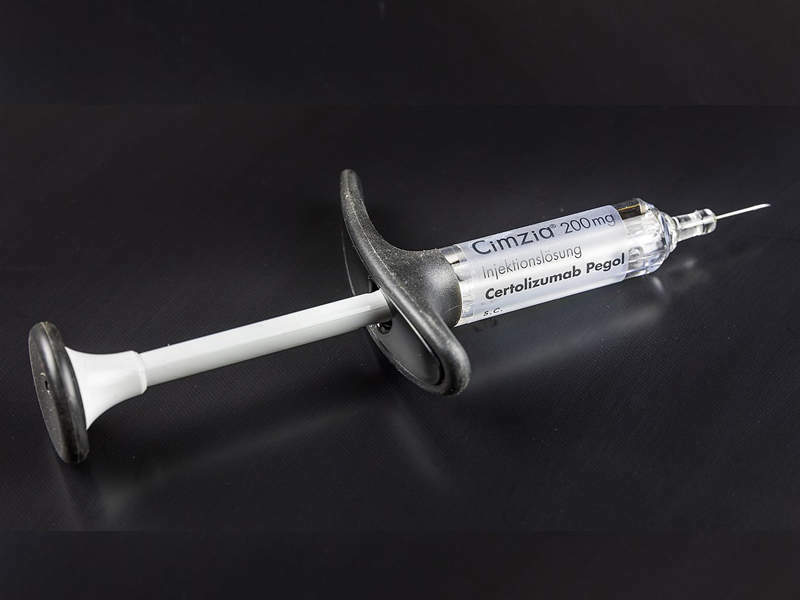 CIMZIA® (certolizumab pegol) is a subcutaneous infusion indicated for the treatment of adults with moderate-to-severe plaque psoriasis. Image: ©Raimond Spekking / CC BY-SA 4.0 (via Wikimedia Commons). The most common symptom of plaque psoriasis is a rash on the skin, nails or joints, which appears as red or flaky white scales on skin. Image courtesy of MediaJet. CIMZIA® works by blocking the inflammation caused by tumour necrosis factor (TNF). Image courtesy of Ramin Herati. CIMZIA® (certolizumab pegol) is a subcutaneous infusion indicated for the treatment of adults with moderate-to-severe plaque psoriasis. The drug was developed by UCB, a biopharmaceutical company based in Belgium. UCB submitted a supplemental biologics license application (BLA) to the US Food and Drug Administration (FDA) for the approval of CIMZIA® in July 2017. The company also submitted a regulatory filing with the European Medicines Agency (EMA). The drug was approved by the EMA in January 2018, followed by the FDA in May 2018. CIMZIA® was also approved by the FDA for the treatment of Crohn’s disease in 2008, and later received supplemental approvals for the treatment of rheumatoid arthritis, ankylosing spondylitis, axial spondyloarthritis and psoriatic arthritis. CIMZIA® is approved for the treatment of rheumatoid arthritis in Europe. Plaque psoriasis is an autoimmune inflammatory disorder primarily affecting the skin. Genetic and environmental factors are the prime causes of the disease. The most common symptom of plaque psoriasis is a rash on the skin, nails or joints, which appears as red or flaky white scales on the skin. Topical medications, light therapy and regular medications are some of the treatments available for the reduction of chronic inflammation caused by the disease. More than 3% of the US population is estimated to be affected with psoriasis. 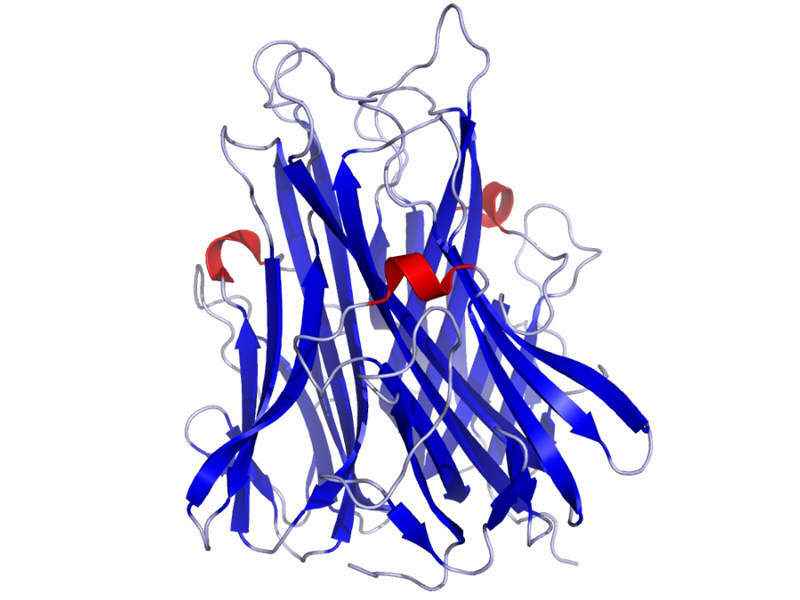 Certolizumab pegol contained in CIMZIA® is an Fc-free, PEGylated anti-tumour necrosis factor (TNF) with a high affinity for human TNF-alpha, which is a pro-inflammatory cytokine. The drug binds to human TNF-alpha and neutralises the pathological inflammation caused by the cytokine. The FDA’s approval for CIMZIA® was based on the data from three Phase III clinical trials named CIMPASI-1, CIMPASI-2 and CIMPACT. 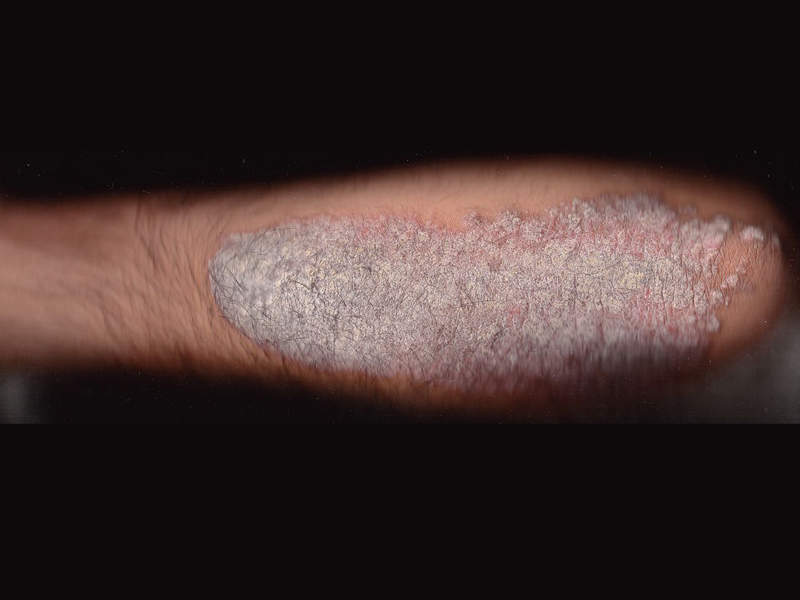 The trials involved the participation of more than 1,000 adults with moderate-to-severe plaque psoriasis and also included patients with and without prior treatment experience with biologic products. CIMPASI-1 and CIMPASI-2 evaluated the safety and efficacy of 400mg and 200mg doses of certolizumab pegol (CZP) administered every two weeks along with placebo. At week 16, 75% of patients in CIMPASI-1 and 82% in CIMPASI-2 that were administered with 400mg CZP achieved a psoriasis area sensitivity index (PASI) score of 75 when dosed every two weeks. The response rate for patients administered with 200mg of CZP every two weeks was 65% in CIMPASI-1 and 81% in CIMPASI-2, compared with 7% and 13% respectively for patients administered with placebo. In the CIMPACT trial, patients were randomised to dosing arms of 400mg and 200mg administered every two weeks and compared with placebo. The results indicated that more than 80% of patients experienced disease improvement on the basis of PASI 75 when compared with placebo. All three clinical trials demonstrated that CIMZIA® showed significant improvement and achieved its primary endpoints. The most common adverse reactions associated with the use of CIMZIA® were upper respiratory tract infection, urinary tract infection and skin rash. The drug may also cause serious allergic reactions, including throat and chest tightness, and swelling of the face and lips. UCB is a biopharmaceutical company that works to discover novel medicines therapies in the areas of neurology and immunology. The company specialises in the development of drugs for the treatment of critical diseases of the immune system and those related to the central nervous system (CNS). With operations in more than 40 countries, UCB employs approximately 7,500 people across all its locations. The company recorded revenues of more than €4.5bn ($5.3bn) in 2017.